The latest world-changing idea for agriculture sprouted three years ago, not from a field but from a computer lab. 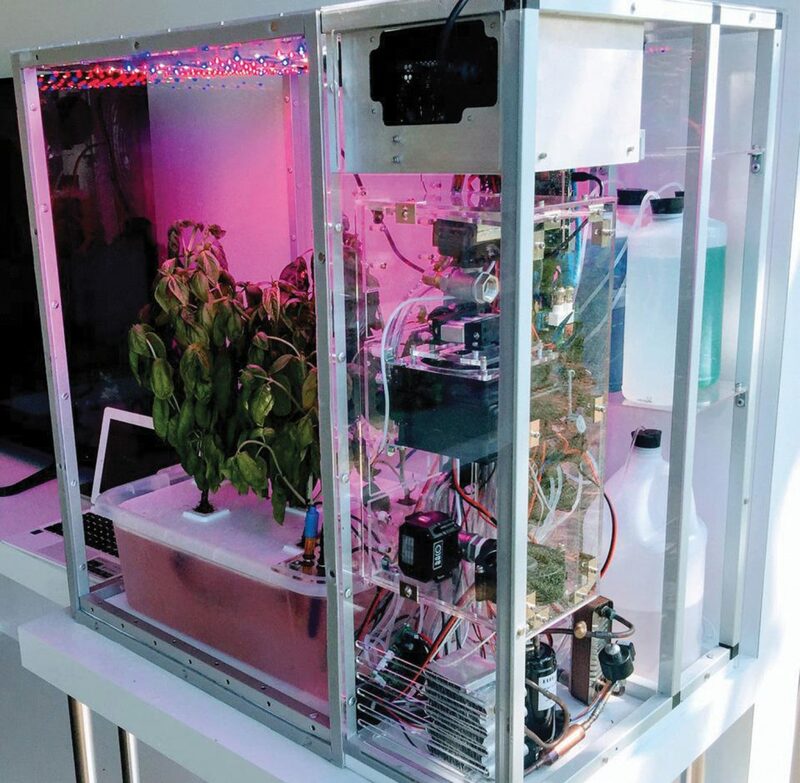 In 2015, Caleb Harper, an MIT Media Lab research scientist, wowed the audience at a TED Conference in Geneva with his vision for personal food computers: automated, indoor hydroponic gardens capable of downloading and replicating the conditions needed to create perfect parsley, excellent escarole, and beautiful broccoli. Harper seized the audience’s attention by telling them the average apple in a supermarket is 11 months old. He then presented an alternative to a global food system that is draining aquifers, polluting waterways, and burning fossil fuels to ship produce thousands of miles—all to deliver less-than-fresh food to consumers who end up throwing out roughly a third of it uneaten. 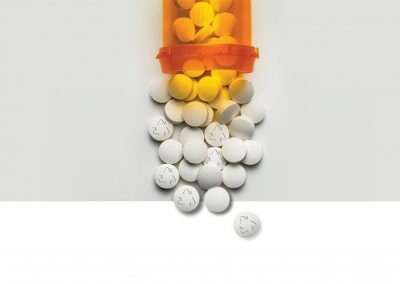 Harper’s big idea, a project he called the Open Agriculture Initiative, was to unleash the innovative power of the internet on agriculture by means of wetware, tech that merges edible plants with silicon chips. Empowered with free, open-source software and food computer designs, he argued, we could all soon be experimenting with crops, sharing our discoveries, and fixing environmental problems. Imagine reducing our dependence on centralized Big Agriculture and growing more food more sustainably by bringing the farm into the home—or at least into the city limits—and building a distributed network of a billion nerd farmers. Though the technology is still evolving, the open-source model should feel familiar to growers. Information sharing has been a part of the farming ethos for centuries. Agricultural co-ops, extension offices, and land-grant universities were all set up long ago to provide farmers with easy access to best practices and troubleshooting tips. Food computers could inject tinkering and creativity back into cultivation and yield new vegetable varieties optimized for flavor or nutritional value rather than for size and shelf life. Now the addition of automation and open-source software could, in principle, take crop production to a new level. Just look at what happened when the open-source model was applied to the nascent internet: we got the Firefox browser and Apache web server, the Linux and Android operating systems, Wikipedia, and myriad other leaps in capability. Applied to agriculture, Harper reasoned, the open-source approach could reverse a generations-long slide into increasingly concentrated control over agriculture. A century ago, one American worker in three was a farmer. Today just one in 85 is. Four companies now control about 90 percent of the world’s grain supply, and the top four strains of wheat capture 95 percent of the market. Food computers could recycle precious freshwater and eliminate the need to use toxic chemicals to protect crops from pests, disease, and competitors. Online gardens could inject tinkering and creativity back into cultivation and yield new vegetable varieties optimized for flavor or nutritional value rather than for size and shelf life. At a large-enough scale, they might even counterbalance the gravitational pull of the food system toward the center, exploding control back out toward the edge. Harper’s vision is inspiring, to be sure. But to challenge the globe-spanning titan that is Big Ag, the new technology must expand quickly in two directions at once: horizontal growth, through a burgeoning community of enthusiasts; and vertical growth, through the commercial growers who have tipped flat farms skyward, planting crops in tall stacks inside indoor food factories. Numerous startups in North America and Asia are now trying to grow high-value crops close to city centers this way. The big question that Harper’s big idea faces is: how far can this technology really go? Harper’s high-flying rhetoric lit a fire in computer nerds around the world, who started buzzing about this irresistibly cool idea of the personal food computer. Peter Webb, a 23-year-old business-development analyst working at a food-display company in St. Louis, saw the TED talk and resolved to reduce Harper’s grand plans to practice. But Webb and other similarly inspired hackers soon slammed into two large barriers. The first was money: the design that MIT released was available in kit form, but it cost around $5,000, well beyond the budget of most enthusiasts. Then there was the daunting amount of effort needed to make the technology, which was still as buggy as a termite mound, actually work. 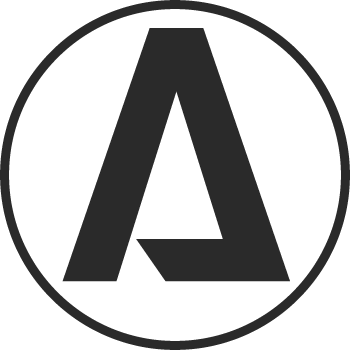 So the first step was to come up with simplified blueprints and software that could work cleanly at less than a tenth of the original cost. Nobody in the enthusiast group was going to be able to accomplish this alone—but a bunch of nobodies working together could. Webb proposed some ideas on an MIT online forum. Harper responded with encouragement, and two other like-minded St. Louis residents, Joe O’Brien and Jim Bell, joined Webb in the effort. They then connected with Drew Thomas, an experienced builder. Bit by bit, a team of hackers, driven purely by the excitement of solving a puzzle, coalesced from the ether. The team’s first goal was to build a “minimum viable product”—Silicon Valley lingo meaning the simplest, cheapest version that early adopters will be willing to use. Rather than trying to impress the ghost of Steve Jobs with a design, the thinking goes, teams should kludge together something quickly in order to understand all the ways it fails, as well as the unexpected ways it might succeed. After kicking around various ideas, Thomas said, “I basically drank a bunch of beers after going to Lowe’s, and built one.” The hardest part was getting so many disparate kinds of hardware—a water pump, a fan, a camera, multiple sensors, and the computer—to work together reliably. They roped in Peter’s father, Howard Webb, a retired computer whiz. “The one thing I wish I had known before I began was how addictive DIY tinkering becomes,” he says. By August 2017, after a few months of dead ends and restarts, they had it: a small hydroponic food computer built for under $300. The ten-person group, which now proudly referred to itself as #nerdfarmers, published its shopping list and carefully documented construction steps on the MIT forum. Before long, others from all over the world started reporting their own construction progress and offering refinements to the design. A chain reaction had begun. Take a warehouse full of oversized personal food computers and stack them to the ceiling: that’s a vertical farm. While Webb and the open-source community are scaling the concept outward, companies such as Plenty and AeroFarms are scaling it upward in cities like Seattle, San Francisco, and Newark. 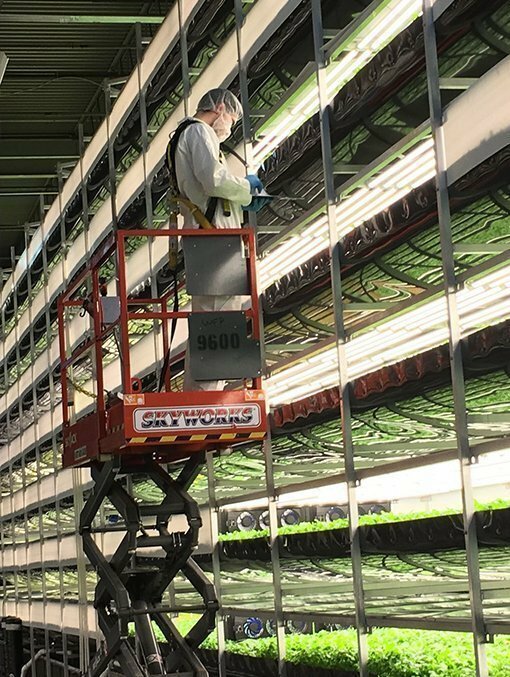 AeroFarms’ leafy greens factory in New Jersey is the largest vertical farm in the world, but it looks like any other building in its industrial neighborhood of Newark, where airplanes roar overhead and trains chug past. Years ago, the company bought an old mill here and retrofitted it to forge vegetables instead of steel. When you open the door, a blast of air hits you full-force. Pressure replaces toxic chemicals: because pathogens, pollen, and insects can’t get in, there is no need to spray the greens with anything other than water. To be on the safe side, people entering the farm must first sanitize their shoes, wash their hands, and don hair nets, safety goggles, jackets, and gloves. Panels of LED lamps hang inches above each tray, bathing the leaves in light adjusted to just the right spectrum and intensity, while spritzes of customized nutrient solutions moisten the roots hanging below. It’s a botanical spa for herbs. The cleanroom-like conditions aren’t just about food safety, says Marc Oshima, the company’s chief marketing officer. “We’re creating a utopia for the plants,” he says. It’s also a kind of utopia for plant scientists, whose field experiments are often confounded by fungi, bugs, drought, and other uncontrolled variables. Inside AeroFarms’ utopian growth chambers, managers control virtually every variable as they monitor what makes plants thrive, optimizing conditions for peak flavor and nutrition. “We’re harvesting data as much as we are harvesting plants,” Oshima says. Inside the growing room, stacks of white trays full of plants tower 12 layers, to the 36-foot ceiling. Panels of LED lamps hang inches above each tray, bathing the leaves in light adjusted to just the right spectrum and intensity, while spritzes of customized nutrient solutions moisten the roots hanging below. It’s a botanical spa for herbs. The air, humid and comfortably temperate, smells like spring growth after an overnight rain. Visitors instinctively inhale deeply. In such brave new farms, the entrepreneurs tell their venture capitalists, science and commerce are joining forces to reverse the spread of agriculture by expanding up, rather than out. Oshima boasts proudly about the environmental benefits: 95 percent less water used per kilogram of produce, zero insecticides, all fertilizer captured and recycled. Sophisticated climate controls allow a vertical farm, in principle, to re-create all 13 USDA growing zones under one roof. 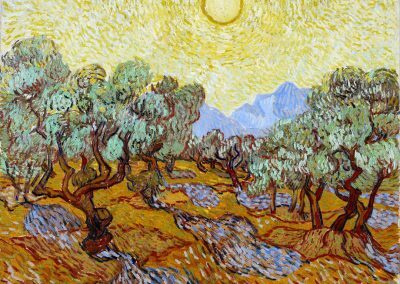 That makes these farms a hedge against climate change. And siting vertical farms inside the cities they serve dramatically reduces the energy needed to transport food from farm to table. That’s the pitch, anyway, and it has worked. Venture capitalists have been pouring money into vertical-farm startups in recent years, investing a record $271 million in 2017. When it comes to energy, vertical farms unfortunately have yet to live up to their green hype. All those lamps and pumps and climate-control systems gulp electricity around the clock—and that electricity is usually made, with only about 40 percent efficiency, by burning fossil fuels. We aren’t likely to see vertical farms that generate all their needed energy from renewable sources. Bruce Bugbee, a scientist at Utah State University who studies indoor farming, estimated in 2015 that you would need at least five acres of solar panels to produce enough power to light just one acre of crops in a vertical farm. Energy inevitably falls away each time it changes form, from sunlight to electricity and then back to light. Inventors have been squeezing those conversion losses toward their limits, but there is no cheating the second law of thermodynamics—or the fact that the construction and climate control of vertical farms consume a lot of energy as well. 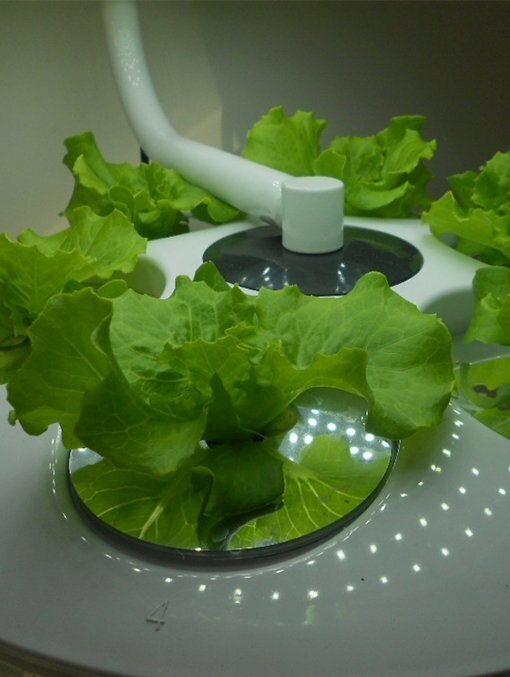 Marceli’s experiments suggest that fine-tuning the lights in a food computer could double the shelf life of lettuce and double the vitamin C in tomatoes. A similar embarrassment of riches could occur if engineers figure out fusion energy or better nuclear power and if we replace all our polluting generators with reactors. We could keep those plants humming at night, when demand is low, and shunt the clean, cheap electrons into vertical farms. 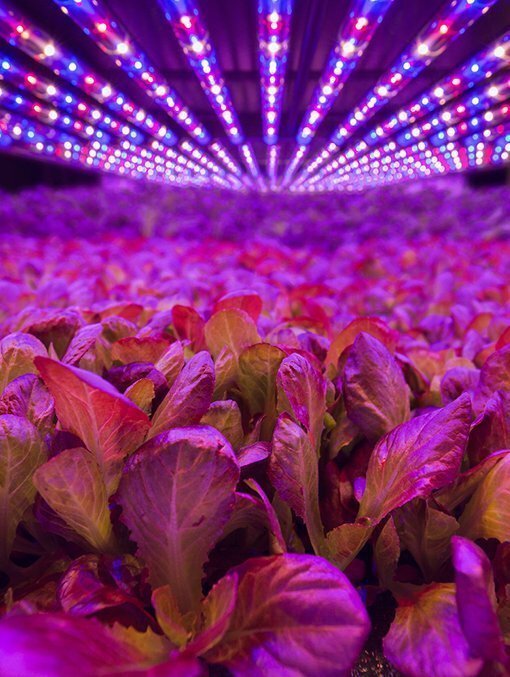 In the meantime, says Leo Marcelis, a vertical-farming researcher at Wageningen University in the Netherlands, indoor farmers could rig their grow lights to switch on and off to take advantage of periodic dips in electricity prices. Their plants would take a little longer to mature, but they would still thrive. Bomford, however, is unpersuaded by such scenarios. “I’m concerned about the opportunity cost,” he says. “If the vertical farm is using low-carbon energy, it means there is some other area that doesn’t have the opportunity to use it”—for example, recharging electric vehicles, running automated factories, or making hydrogen to power fuel cells. Setting energy aside, the environmental pros of vertical farms do seem to outweigh their cons, but only for high-value, fast-growing crops. Peek inside most vertical farms or food computers, and there is an excellent chance you’ll see leafy greens such as lettuce or herbs sprouting inside. The technology shines brightest for such crops. Dan Blaustein-Rejto, an agriculture analyst at the Breakthrough Institute, has calculated that indoor farms in Sweden, where nuclear and hydroelectric power generate 90 percent of the electricity, can already grow lettuce with a smaller carbon footprint than conventional farms produce. He showed that outdoor farms fall behind in the carbon race when you factor in transportation and waste. Indoor lettuce isn’t vulnerable to hailstorms or armyworms, and it’s not as likely to go bad in transit since it won’t be moving from California to New York. Indoor farmers also need less fertilizer because the nutrients can be recycled. One-third of the nitrogen applied to fields, in contrast, is converted to polluting gases or washed away to turn ponds into pools of green slime. Over the longer term, cropland put out of work by indoor farms could even be used to grow carbon-storing forests, just as has occurred after previous booms in agricultural productivity. Though it might be technically possible to move our amber waves of grain indoors, Marcelis says, “it will take a long time—let’s prove it with vegetables first.” A blade of wheat needs five months to produce a kernel, whereas microgreens can be harvested every few days. And dry, hard grains are a breeze to store and transport compared to spring mix, which is little more than water packed into millions of gossamer cells. 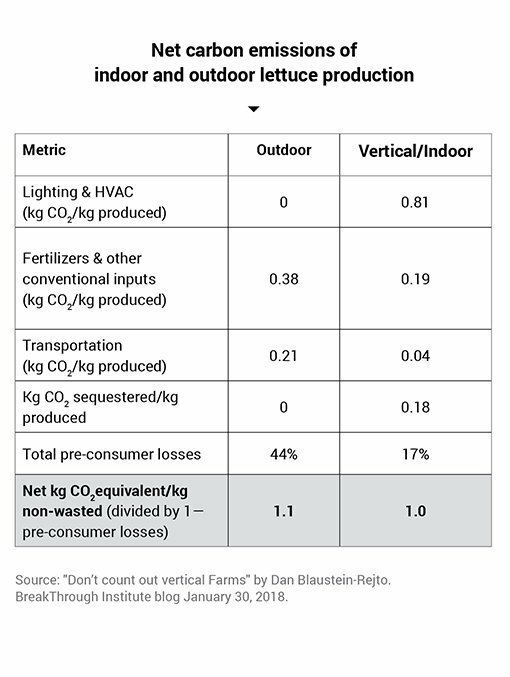 Outdoor farms fall behind in the carbon race when you factor in transportation and waste. A Farm in Every Home? As with every new technology, it’s easy to see the flaws and limitations in food computers and vertical farms. But it’s worth contemplating how this technology might feed into other big trends in food and agriculture as it evolves. In the United States and other wealthy nations, consumer demand for locally grown, organic, and heirloom produce has been growing rapidly. The number of farmers markets has doubled every decade since the government started keeping track in 1994. The number of households growing vegetables has also risen, particularly within the past five years. Houses—and kitchens in particular—have been getting larger and more automated. All of this suggests fertile ground for the idea of high-tech gardens. Already, some companies sensing an opportunity have begun selling kitchen countertop farms. Three square feet seems to be enough space to keep a small family in lettuce. If you can devote an entire wall or basement room to a food computer, it could probably supply all your staple vegetables. Hard-core gardeners and gadget lovers are likely to be the early adopters, attracted not by any cost savings but by the novelty and the ability to experiment on their food. The appliances will get cheaper, more useful, and more stylish as nerd farmers keep innovating. Webb and Thomas have already cofounded a startup called Mars Farm that makes food computer kits for schools. Before long, many children might first experience a garden by tending to the artificially illuminated hydroponics box in their classroom. Early skeptics of vertical farms, such as Cornell University agricultural economist Per Pinstrup-Andersen, are now finding it easier to imagine a future in which the farms catch on. Back in 2010, Andersen dismissed the notion of vertical farming “as a mere pipe dream.” Last year, he wrote that he has “become an agnostic” and believes the technology is actually approaching a tipping point. Going vertical, he points out, could take much of the risk (and associated insurance costs) out of farming. It could make transportation more efficient and ensure a steady supply of healthful nutrients as climate change and population growth threaten to make them scarce. Leo Marcelis, from his home in the Netherlands, finds it easy to envision how food production could move inside. This tiny country is the world’s second-largest exporter of produce, in large part because it grows 35 percent of its produce—and 100 percent of its tomatoes, cucumbers, and peppers—indoors. At the edges of Dutch cities, farmers grow leafy greens and herbs indoors in warehouses. The production cost is double that of greenhouse-grown greens, but consumers hardly notice because the money paid to the farmer accounts for only about a quarter of the price of a head of lettuce. Because most plant varieties have been optimized for Big Ag and long-distance distribution, plant biologists can explore many new avenues to find cultivars that will perform even better when grown inside. Marcelis’s experiments, for instance, suggest that fine-tuning the lights in a food computer could double the shelf life of lettuce and double the vitamin C in tomatoes. A generation from now, mothers may pass along to their kids their favorite recipe for tomatoes along with the family recipe for tomato sauce. 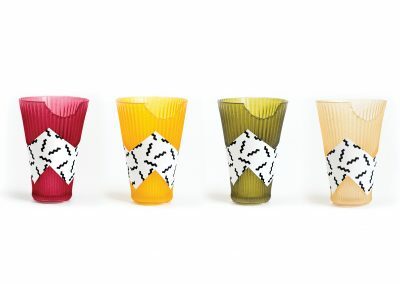 If the past century of food retailing has hammered one lesson home, it is that people love to have options. They are eager to try new things, and many see their dietary choices as part of their identity. In the food industry, fresh produce remains one of the last true commodities, but automated agriculture could open the door to branded and even personalized veggies. If that leads to a renaissance in the quality of fresh fruits and vegetables, it could be a boon for arteries and waistlines as well as for the environment. Nathanael Johnson is a journalist who lives in Berkeley, California, with his wife and two daughters. He is the food writer for Grist, and has taught at the University of California, Berkeley, Graduate School of Journalism. He’s written two books: All Natural and Unseen City. 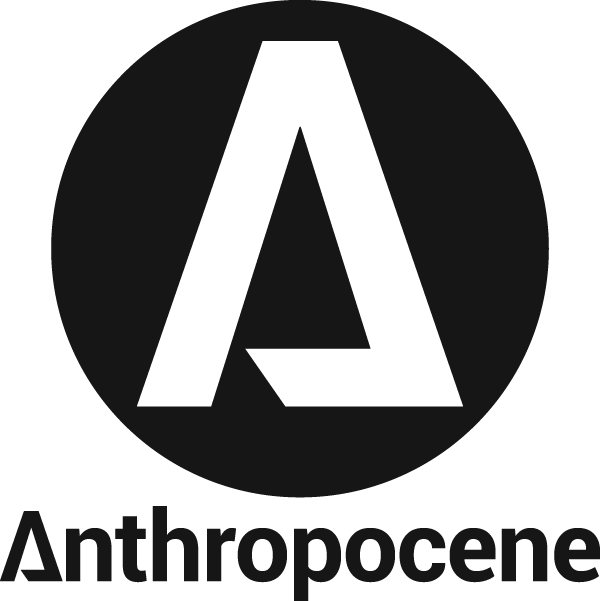 This article was produced through a partnership between Anthropocene and Grist.